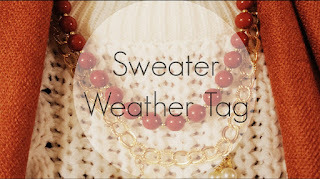 I really wanted to do a Christmas TAG this year and so I went searching! Last year I did the traditional Christmas TAG and the year before I did the Family Christmas TAG. 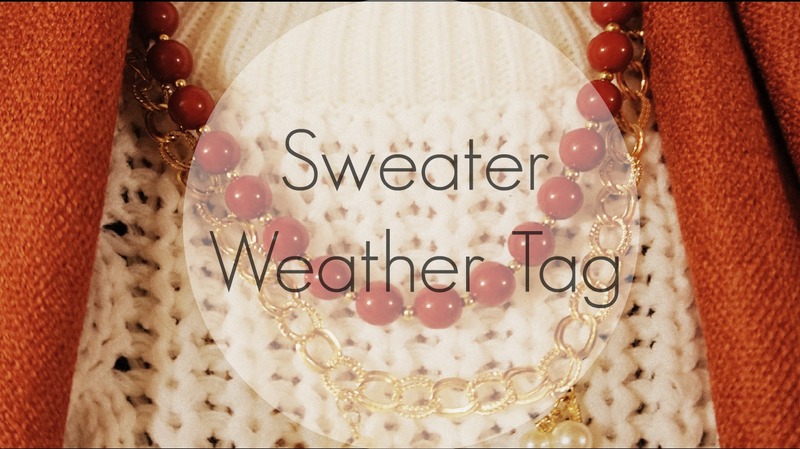 I loved Alisha Valerie's Sweater Weather Tag so I wanted to do it! I'm not a massive candle fan to be honest but I do love Zoella's Lazy Day all year round for a fresh and clean sent. When I recently visited my old flatmate, she lit one that I loved! It was so nice and Christmassy but I don't remember what it was called! I'm an odd one and don't like any hot drinks so I actually don't drink any of these! I love visiting London for early Christmas. They always seem to put them up early in mid-November and it's the best time to go because there aren't as many crowds. Covent Garden and Winter Wonderland are the best! I look forward to them every single year. A dark lip all the way, especially since I started selling LipSense. I'm completely obsessed! I do however love a good winged eye liner but I can't do it. I like really flowery and summery scents to be honest and I don't tend to mix them up at all. My current favourite is one I designed myself called Citrus Solo. We don’t celebrate Thanksgiving here in the UK as it's more of a US tradition. I do love fall decorations though. The air is crisp and cold. The leaves turn from green to orange to brown and then fall from the trees. I love walking over dry ones and hearing them crunch. It gets darker much earlier which is so sad. I think it's one of the main reasons why people get more depressed in the colder months. I'm quick to put my PJs on when home and get cosy on the sofa in my blanket! I think sweater's tend to be called jumpers over here and the one I wear the most is my black one from Dorothy Perkins, however when it comes to Christmas I love my snowflake blue one! I wear a lot of reds and golds on my nails, with glitter on top. OPI all the way! Jumping in leaf piles. I am not a fan of football at all. Leggings. I don't own a single pair of skinny jeans because I like to be really comfy. In all honesty, I tend to wear jeggings the majority of the time. I've never worn combat boots so UGGs all the way. It's funny because a handful of year ago, I thought they were so ugly. Then they released so many more styles and I fell in love! I love the idea of it. I think pumpkin anything is really festive and traditional but I tend to stick to the same tastes all year long. I guess peppermint or mint would be my go to this time of year. This year my obsession was Victoria and Our Girl! I love those two British shows that aired this year but I think their schedule might change. I've never heard of a song like that but I guess I start Christmas songs early! Thank you again to Alisha for bringing this TAG to my attention. I would like to tag Amy-Lou, Kasia and Midori. Be sure to go and check out their blogs because I'm sure they will be posting this TAG soon. If anyone else who wants to do this TAG, please do. Tweet me or comment below to let me know if or when you complete this tag post. I’m looking forward to reading your answers! Love your writing style, light and easy to read! Keep up the good work!